The crucifixion continues. As the body fatigues, cramps sweep over the muscles, knotting them in deep, relentless pain. With the cramps come the inability to push upward. Air can be drawn into the lungs but cannot be exhaled. Carbon dioxide builds up in the lungs. Hours pass of limitless pain, cycles of twisting, joint-rending cramps, intermittent partial asphyxiation, searing pain where tissue is torn from Jesus’ back (from the needless whippings) as it moves up and down the splintered wood. Then something else happens to Jesus’ body. A crushing pain deep in the chest as the pericardium slowly fills with serum and begins to compress the heart. The compressed heart struggles to pump heavy, thick, sluggish blood. So they asked Pilate to hasten their deaths by ordering that their legs be broken. Then their bodies could be taken down. So the soldiers came and broke the legs of the two men crucified with Jesus. But when they came to Jesus, they saw that he was already dead, so they didn’t break his legs. One of the soldiers, however, pierced his side with a spear, and immediately blood and water flowed out. (This report is from an eyewitness giving an accurate account. He speaks the truth so that you also may continue to believe.) John 19:31-35. From Jesus there was an escape of water fluid from the sac surrounding the heart. Postmortem evidence from those who love this stuff states that Jesus did not die the normal crucifixion death by suffocation. Jesus died of heart failure–or a broken heart–due to shock and constriction of the heart by fluid in the pericardium. 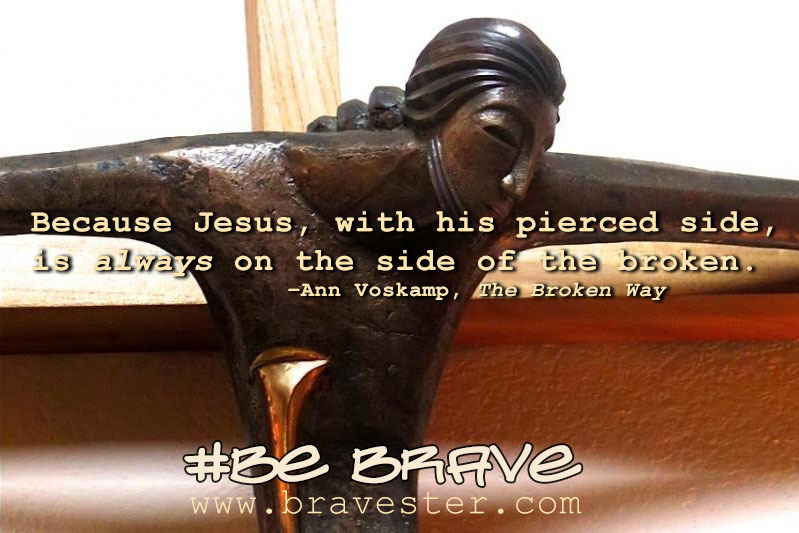 This fifth scar reveals the broken heart of Jesus. The fifth scar reveals that Jesus is on my side. This is my comfort in my overwhelmingly painful life. This is probably my greatest reason for being drawn to these five crucifixion scars. And this scar in particular. My heart is broken and so is Jesus’ heart. The scar proves it. Dig into this Leonard Cohen quote. When the incarnation happened—the word being made flesh—these scars were always going to happen. God is going to continue to pursue and love anyway because he is love. And this is true. The Risen Christ remembers his suffering. He has the scars. The scars are the only man-made thing that is in heaven. I stand by his power. I’ll follow the path of the man with the nail scars in his hands. I am drawn to these scars. I do follow the path of the man with the nail scars in his hands. It has led me to this brave life. Men have said that the cross of Christ was not a heroic thing, but I want to tell you that the cross of Jesus Christ has put more heroism in the souls of men than any other event in human history. Be brave. Embrace Holy Week. 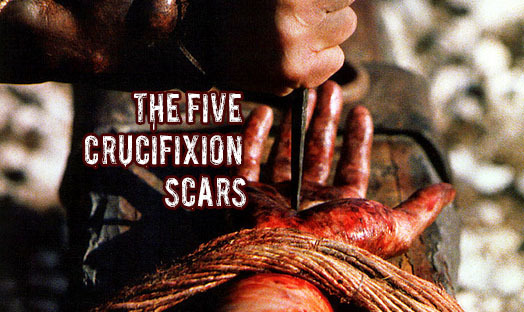 Embrace the five crucifixion scars. Prepare your hearts. Because Easter is coming. When all possibilities are made new–even your life.